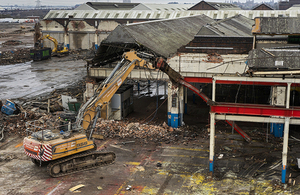 Ahead of HS2 Ltd beginning construction of a train maintenance depot in Washwood Heath, demolition of a former railway works in Birmingham is now well underway. The site at Washwood Heath was originally home to a depot that measured 782,622 cubic metres of buildings and structures, and these are now in the process of being demolished. 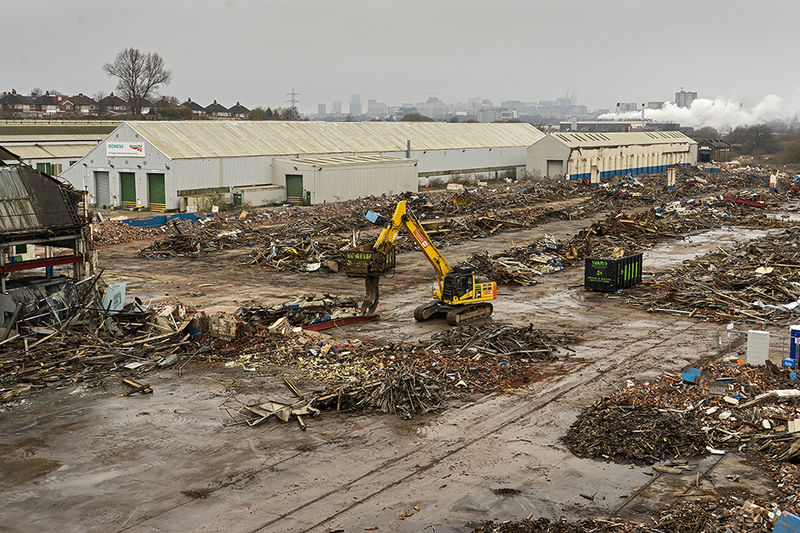 This has yielded a total of 412,464 tonnes of demolition materials, the equivalent weight of 68 Birmingham BT Towers, and will be predominantly reused on site, significantly reducing the need for landfill and lorry movements. The site at Washwood Heath was originally home to a depot that measured 782,622 cubic metres. As we prepare for the construction of HS2, there is a huge amount of work going on at sites in the Midlands, including land clearance, habitat creation, tree planting, demolitions, archaeology, road improvement works and utility diversions. We currently have 62 live sites across the whole Phase One route, servicing over 250 work locations. Over 7,000 jobs are supported by HS2, and over 300 companies in the Midlands are already working on the project.